Superior has been helping independent distributors solve their customers' printed needs since 1971. We are excited to be part of I.D. Images, LLC and look forward to providing you with even more products and services in the future. Labels and tags: Labels and tags can be delivered in rolls, fan folded stacks or sheets. Up to six colors, including four color process, are available. UV varnishes and laminating are available for extra protection. Paper and film labels with permanent or removable adhesives are available. Short run digital labels: We can print small quantities of labels with no plate or die expenses. These labels can be produced on paper or film stocks and can be laminated for extra protection. The inks used in this system are UV resistant and will not fade when exposed to outdoor weather conditions. 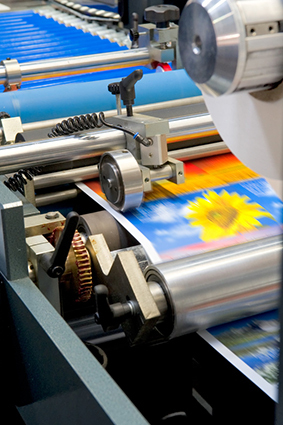 Laminated cards: We can produce custom laminated cards with either a paper or film core. We have 5 and 10 mil laminates in stock (including writable laminates). We have many different size and shape options available. Form/label combinations: We can affix labels to continuous, unit set or cut sheet forms. Multi part continuous or unit set forms with one part label stock are available in either carbonless or carbon and bond sets. Envelopes: Standard 24# white wove regular and window envelopes are stocked. Specialty stocks, windows and inside tints are available. Cut sheets and letterhead: We can produce most any size cut sheet with up to four colors. Standard bond papers and most specialty writing papers are available. Continuous forms: We can produce up to six parts printed in up to four colors. Many options of numbering, punching, gluing and packaging are available. Unit set forms: We can produce up to ten parts printed in up to four colors. Many options of numbering, punching, booking, padding and packaging are available. Checks: We can produce checks in continuous, unit set or cut sheet formats printed in up to four colors. We can provide a wide range of security papers and security features. 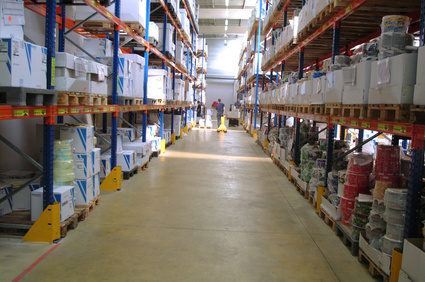 Warehousing: Store your products in our climate controlled warehouse. Our bill as ship service lets you take advantage of larger order quantities and pay for them as they are released from the warehouse. Warehouse releases received by 2:00 Eastern time ship the same day. Folding: Beginning sheet sizes can range from 3 1/2" x 3 3/4" up to 17" x 22". Finished folded sizes can be as small as 3/4" x 3/4". Folded pieces can be glued closed upon request. Online warehouse releases: View your warehouse inventory from anywhere in the world with an internet connection. You can check on your inventory and make releases with our online warehouse system. The system can even email you (and anyone else you wish) when your inventory drops to your pre-determined level as a reminder to order more stock. Variable data printing: We can print variable information on practically any type of product we can produce - from consecutive numbers and barcodes to complicated bases of data (i.e. names and addresses, membership ID numbers and random check digits). Composition: Our in-house composition department can set your project from scratch. We also accept most formats of electronic files. Design services: Need help creating a new logo or designing a form, label or marketing piece? Superior can help you create a logo or project that will impress your customer.